The PTSA is here for every parent and every student, and every helping hand is valued and needed. As a commuter school, we all have to work extra hard together — but being part of your child’s school community is worth it. The entire school benefits from each family’s unique contributions, and we are glad you are part of our community, including your extended family members, such as grandparents, guardians, etc. 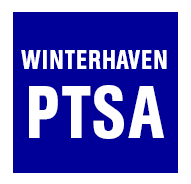 Winterhaven has a signup.com page (formerly Volunteer Spot). Thanks for visiting it to see the latest opportunities to help out our school.